Montreal – Electronic Arts Inc. has also announced that the award-winning Need for Speed™ NITRO is in stores across North America and will hit store shelves in Europe on November 6. Developed specifically for the Wii™ and Nintendo DS™, Need for Speed NITRO brings an unrivaled sense of speed to the streets as players evade cops and take down competitors to become the world’s top racer. Need for Speed NITRO features a very diverse and impressive list of the world’s hottest muscle cars, exotics, and tuners including the Tesla Roadster, Pagani Zonda, Audi R8 and the Nissan Skyline. Players can custom-design their own ride with an incredibly deep yet intuitive visual customization system that lets players hit the streets in style with their personalized dream car. The game also includes unlockable cars that feature exclusive skins designed by lifestyle brands, tokidoki, Upper Playground and i am 8-bit. Need for Speed NITRO delivers the thrill of high-speed racing to all types of gamers with exciting gameplay, accessible controls, and competitive multiplayer events including four player co-op career mode. Recently crowned IGN’s Best Racing Game on the Wii and Nintendo DS at this year’s Electronic Entertainment Expo, Need for Speed NITRO is this holiday’s most fun and exciting arcade racing game. Developed by EA Montreal, Need for Speed NITRO is available on the Wii and Nintendo DS and is rated E10+ by ESRB. Burnaby – EA Canada has announced that according to internal EA data, the Need for Speed™ franchise has surpassed 100 million units sold life to date. The newest release, Need for Speed SHIFT, pushes the franchise over the 100M mark, making it the best-selling racing brand in the gaming world. Need for Speed has become a driving force for innovation in the racing genre. Known for delivering unparalleled white-knuckle racing, creative customization and street style, the Need for Speed series has generated over $2.7B in life-to-date sales and has become a powerful pop culture phenomenon. Burnaby – Electronic Arts Inc. today announced the track list that will propel players to the finish line in Need for Speed™ SHIFT when it hits retail stores in North America on September 15 (in stores across Europe on September 17, 2009). The SHIFT soundtrack features some of today’s most influential hip hop and rock artists including Kanye West, The Prodigy, Kasabian, and MSTRKRFT. Each song was hand selected to provide a pounding score that matches the intensity and bone-crushing power of this year’s Need for Speed. The complete soundtrack is listed below. To hear samplings of each song, please visit EA Trax. Need for Speed SHIFT is the first racing game that accurately reproduces the intense physical and emotional experience of being behind the wheel of a race car. SHIFT’s true driver’s experience redefines the racing genre with the combination of real world physics and perception based G-forces including the brutal first person crash dynamic, to create a cockpit view that is easily the most realistic and intensive racing perspective ever. Need for Speed SHIFT will be available for the PlayStation®3 computer entertainment system, Xbox 360® video game and entertainment system, PC and PSP® system and is rated “E” by the ESRB. Montreal – EA Montreal has announced that it is collaborating with lifestyle brands tokidoki, Upper Playground and i am 8-bit to create exclusive in-game car designs and artwork for Need for Speed™ NITRO on the Wii™. Each brand has created custom skins for a wide variety of vehicles including the Lamborghini Gallardo, Dodge Challenger, Dodge Charger R/T, Volkswagen Type 2 and Subaru Impreza WRX. 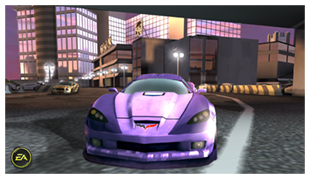 They have also provided over 140 stylistic brushes that players can use to paint and personalize their ride. The cars in Need for Speed NITRO have style, personality and edge unlike any racing game. The tokidoki brand is one of today’s most popular lines of apparel, accessories, toys, skateboard decks and other merchandise. The brand is characterized by a colorful, high-energy artistic style, while the word tokidoki means “sometimes” in Japanese. The name represents the company’s world view around identity and destiny. tokidoki was founded by Simone Legno and his partners and started as a personal web site before it evolved into an internationally celebrated brand. Montreal – Following its success in selected territories in Europe, selling well over 100,000 units, Euro Truck Simulator gets a new name for the North American shores; Big Rig Europe. It’s the same great gameplay and level of quality gamers have come to expect from SCS Software, creators of Meridian4’s previous driving simulation game Bus Driver and creators of the hugely successful 18 Wheels of Steel series, with a new name and logo. Big Rig Europe is currently available for digital download on Impulse and will be coming to Wild Tangent, Gametap and many other channels in the near future. Navigate your way around a realistic depiction of Europe traveling along major trunk routes and visiting famous places based on real roads and cities. Experience the life of a long distance truck driver as you face the challenge of varying road and traffic conditions and meeting the demands of a heavy schedule. 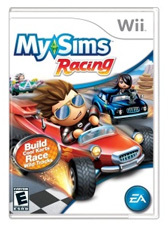 Sim City – Electronic Arts Play Label, Sims Studio and Montreal’s Artificial Mind & Movement announced today that MySims Racing for the Wii™ and Nintendo DS™ will be zooming into retail outlets this week. The latest title in the popular MySims franchise starts players as wannabe speedsters and after working their way up the ranks, it is time for them to burn rubber against the toughest MySims rival racers on the trickiest tracks in Speedville. The excitement never stops as the more successful the player is on the track, the more they will be able to customize their kart and trick it out with new engines and bodies. Designed specifically from the ground up for the Nintendo platforms, MySims Racing offers something for everyone who wants to live life in the fast lane. Vancouver – via E3 – United Front Games Ltd. is developing ModNation™ Racers, a creative twist on classic karting, designed exclusively for the PLAYSTATION® 3. ModNation™ Racers puts innovation and creativity directly into the player’s hands with simple, intuitive and fun tools to create custom characters, karts and race tracks. These can be shared and played freely by anyone in the world on the PlayStation®Network. 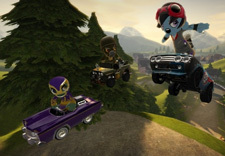 ModNation™ Racers was officially unveiled to the world during Sony’s E3 press conference. Vancouver – Via E3 – Big Park Studios, which was recently acquired by Microsoft Game Studios has announced their new Xbox 360 title, Joy Ride. The title will only be available to Xbox Live silver and gold subscribers, and will allow players to race their XBL avatars against friends. Montreal – Developed specifically for the Nintendo DS and Wii by EA Montreal, Need for Speed NITRO delivers the fun and exhilaration of high-speed racing, combining the franchise’s trademark attitude and car culture with deep and thrilling gameplay. 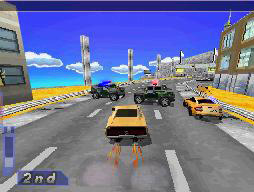 With the NDS, battle through the mayhem of aggressive cops, take corners at 150 mph, and own the competition on extreme tracks. Boasting a wholly unique look and feel, Need for Speed NITRO thrusts gamers into an exciting flurry of over-the-top fun, where each race track features big air jumps, smackable objects, shortcuts and more!